Ah, good old stereotypes. Can’t live with ’em, can’t live without em. In the latest episode of The Thoughtful Travel Podcast, I’m musing with a few travel buddies about stereotypes and how travelling can help us to smash them! Of course, not every stereotype is terrible (I give an example myself in this episode about one of my favourite and often true stereotypes, that German people are generally punctual – I love that! ), but on the whole, stereotypes are something we need to look at with a critical eye, and that’s just what the guests in this episode do. What kind of stereotypes have you thought about, but dispelled, by going travelling? I’d love to hear about them in the comments. 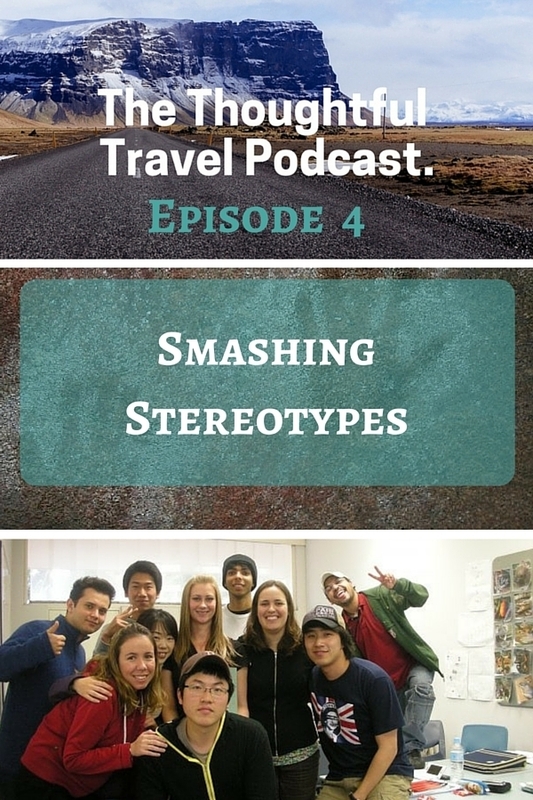 Episode 4 of The Thoughtful Travel Podcast starts the conversation about the thorny issue of cultural stereotypes – and how travelling and meeting people of all different cultures can really help you smash through stereotypes and learn that people really are all the same. The first guest in this episode is Canadian travel blogger turned Peruvian resident Nora Dunn of The Professional Hobo, and she has an interesting tale to tell about meeting some indigenous Australians at the Aboriginal Tent Embassy in Canberra. Nora is followed by another extract from my fabulous chat with Kiliii Fish, who has worked extensively with indigenous people across the world and has so much of interest to say on the subject. Finally, I chatted with Joe Baur of the Without A Path podcast about other stereotypical views people have, particularly when it comes to labelling a country and its people as either safe or dangerous. All of these guests will leave you something to think about, I’m sure! Nora’s post about visiting me! Me too Nora, thanks so much for being a wonderful guest.